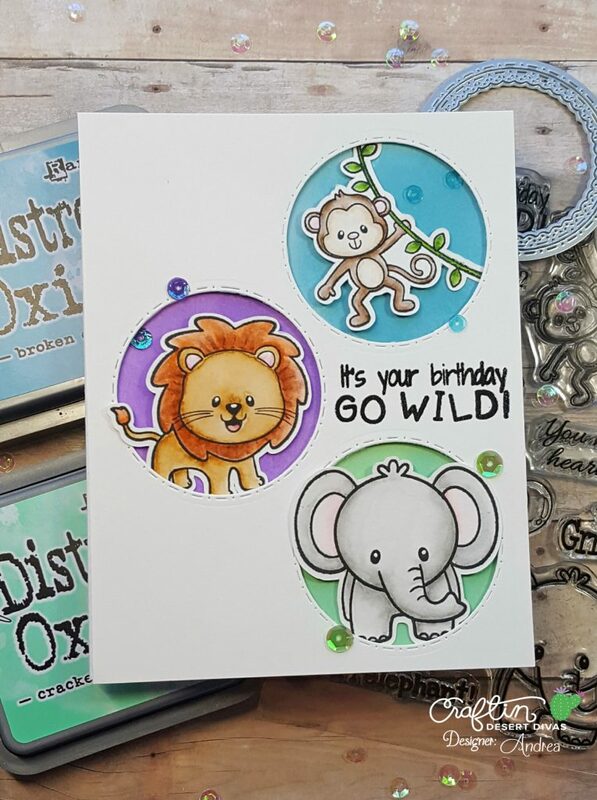 Craftin Desert Divas Blog: It's Your Birthday GO WILD!! Hello, again! 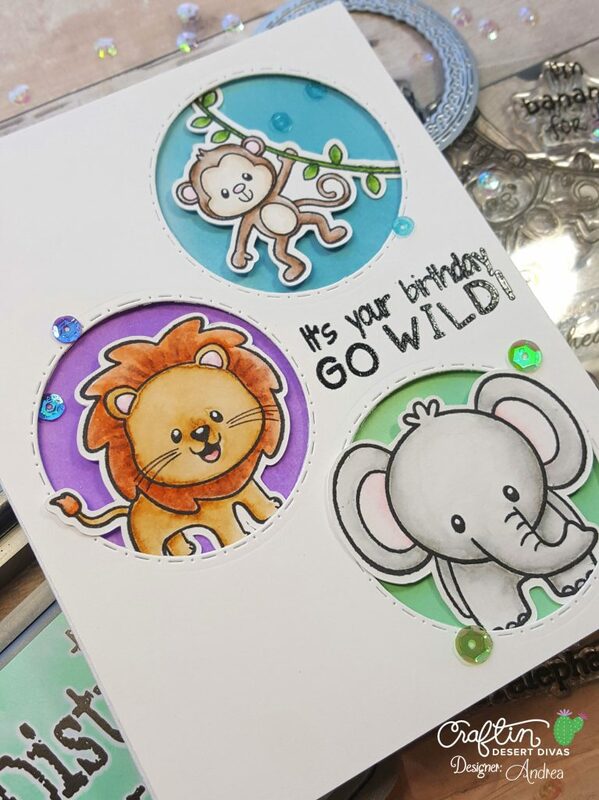 It's Andrea back to share a card featuring the adorable animals from It's All About Zoo. I just love these cuties! I stamped the animals with Versafine, colored them with Zig Clean Color Real Brush Markers, and cut them out. To create the openings for the critters, I die-cut three circles with the smallest Inside Scalloped Circle die. These dies create the circle you see here and a beautiful scalloped frame that fits inside. I chose to just use the circles, however, so that my critters would fit. Onto my white card, I masked off each circle and ink-blended with the following colors of Distress Oxide Ink: Broken China, Wilted Violet and Cracked Pistachio. I popped up my die-cut panel on top and adhered my animals inside the openings. I used foam tape on the main parts of the stamped images and adhered the rest so that the critters would tuck underneath my panel. I heat-embossed a sentiment from It's All About Zoo and added some sequins from Glimmering Gemstones and Trick or Treat sequin mixes. Thank you for stopping by. Have a fantastic day! Adorable!! Those are some cute critters and you colored everything beautifully!! Great design too! !